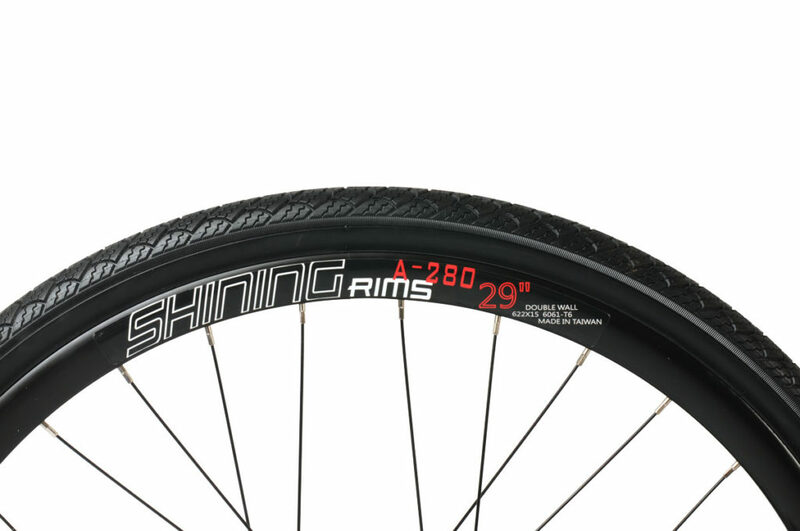 Available to preorder – delivery to our shop 5 business days. 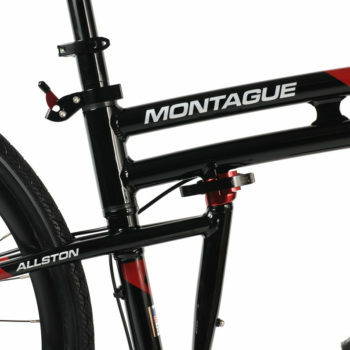 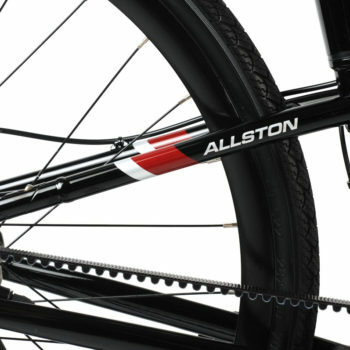 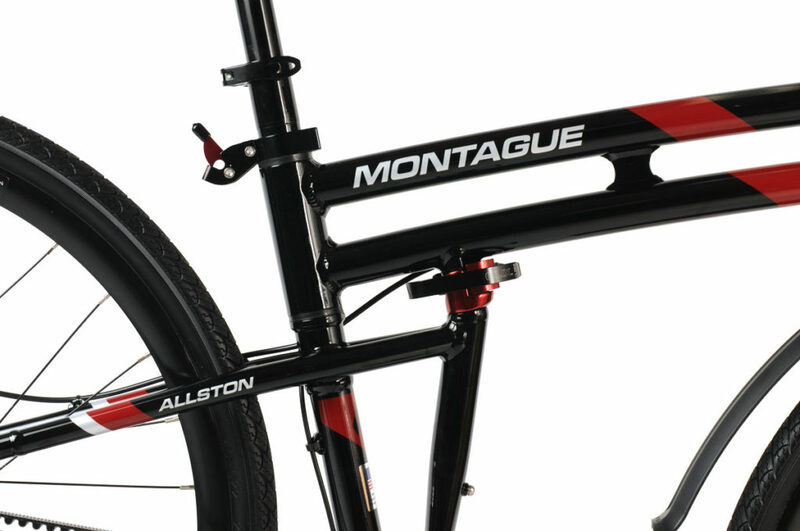 With it’s 38mm, 1.5″ tires and 29″ wheels, the Allston is a great new addition to the Montague line. 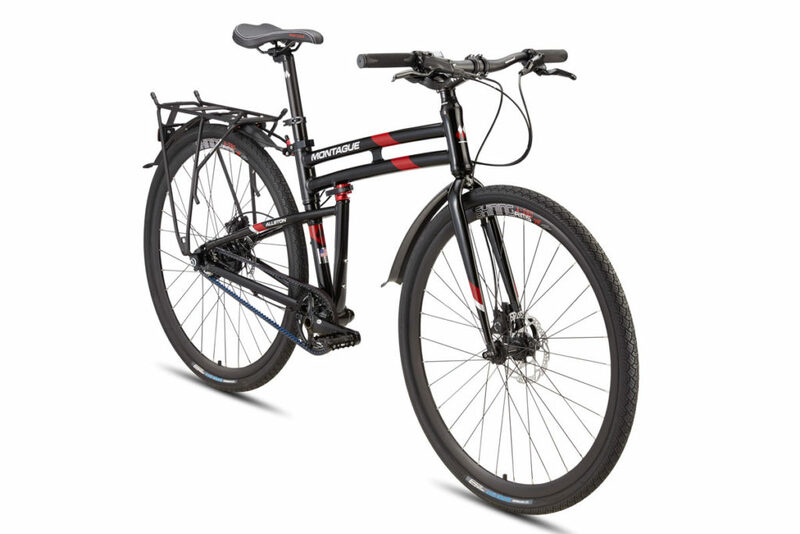 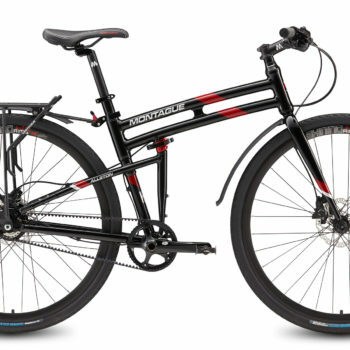 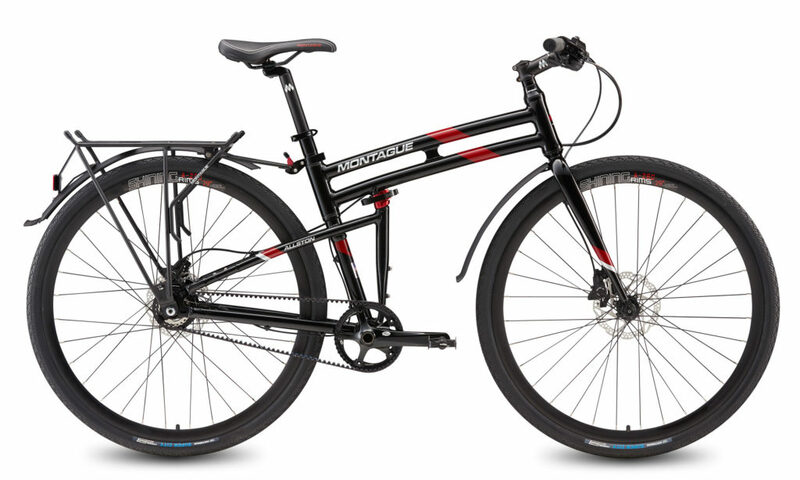 It fills the gap between their mountain and road bike models, giving us a true all-rounder. 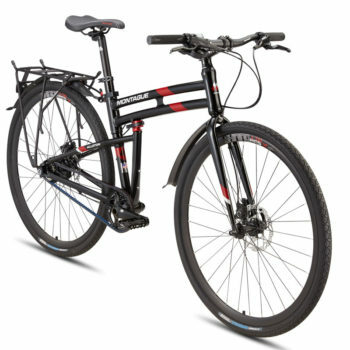 It’s capable on both paved roads and gravel-grinder trails. 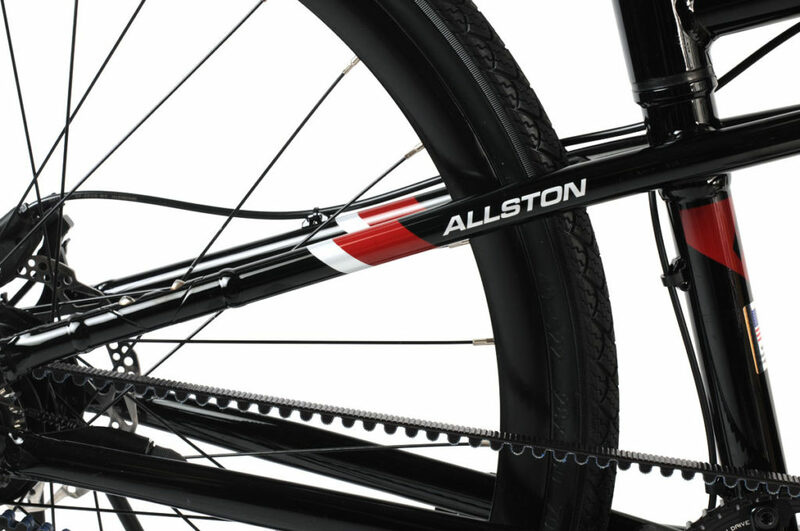 The Allston can be your ultimate, virtually no maintenance commuter, being equipped with an Alfine 11 speed internally geared hub and a silent Gates carbon belt drive. 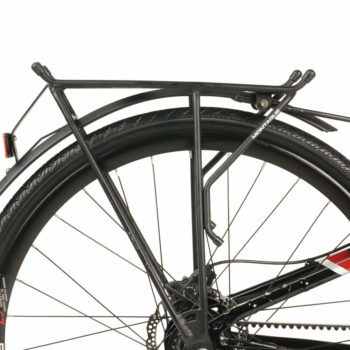 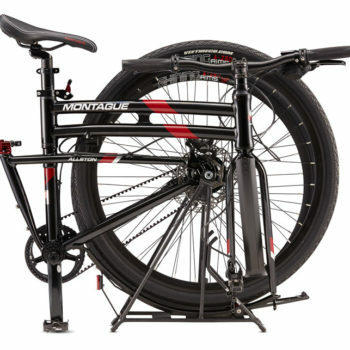 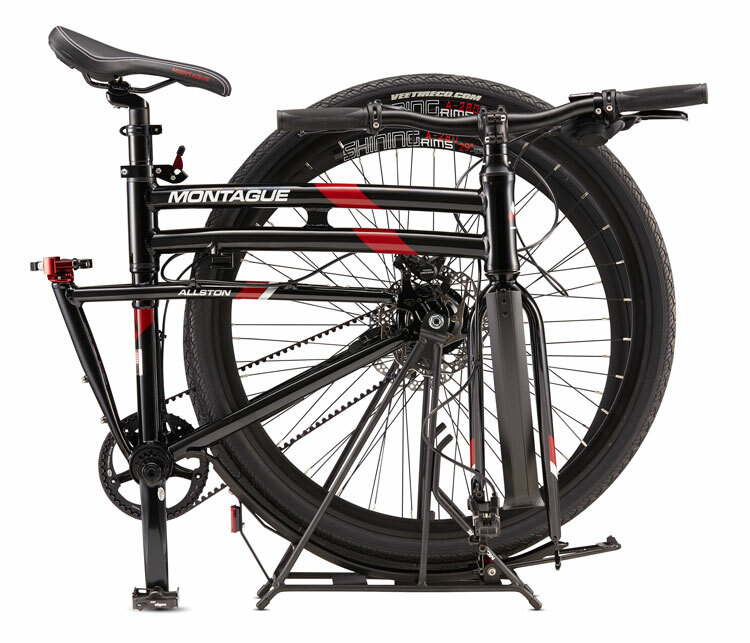 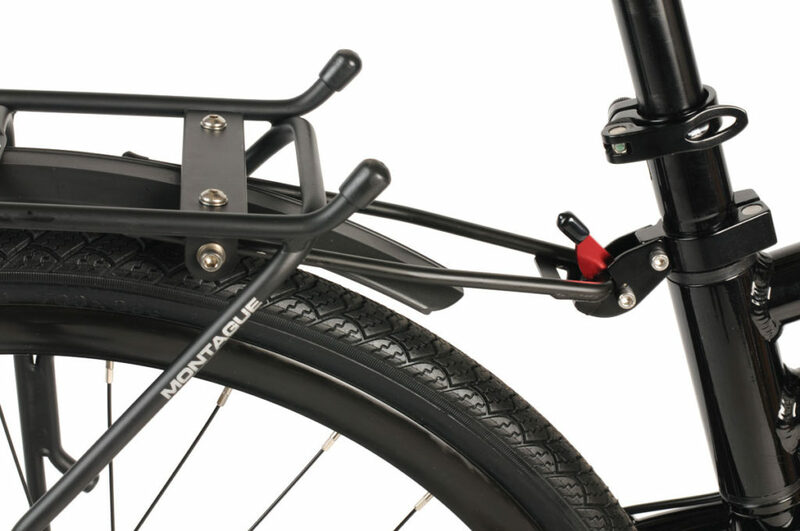 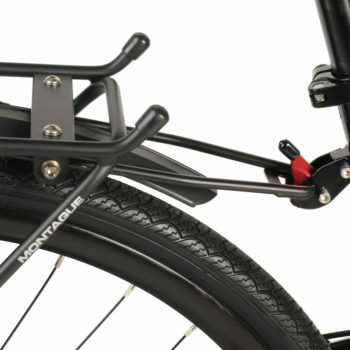 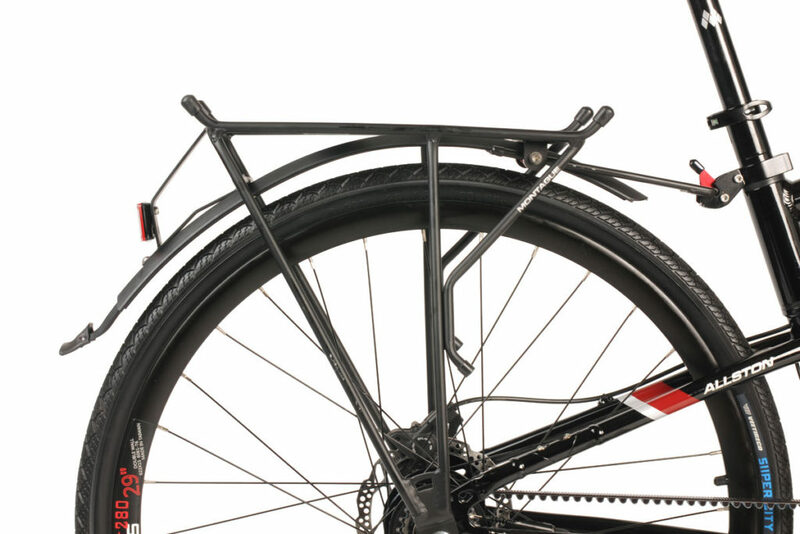 New for 2016 are the improved direct connect folding mechanism that provides easier folding and larger, more secure, clamping surface, and the Montague Rackstand, a rear rack and fender that pivots out of the way to fold your bike and doubles as a bike stand. 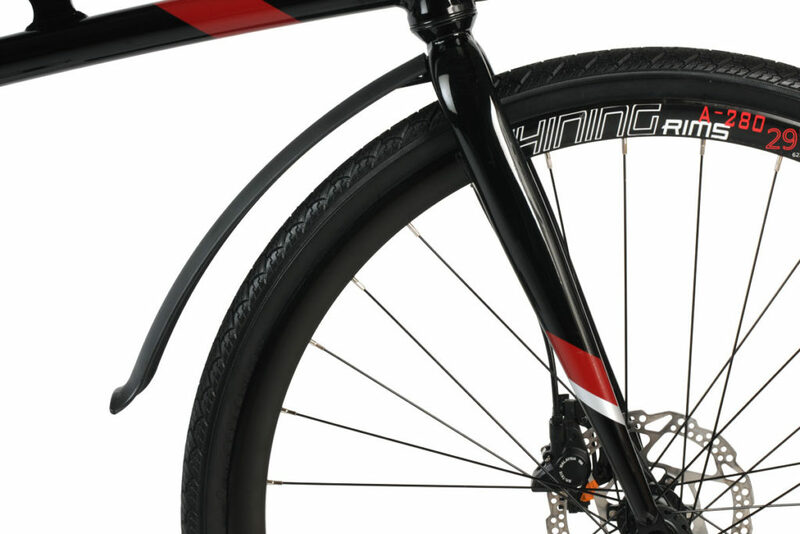 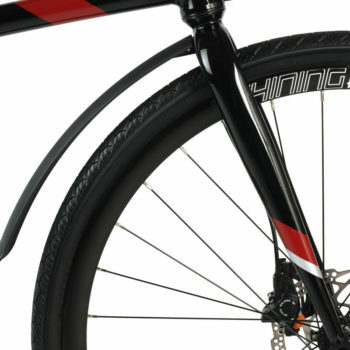 The front fender also folds down in place when the bike is folded. 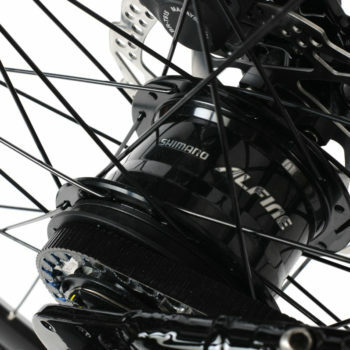 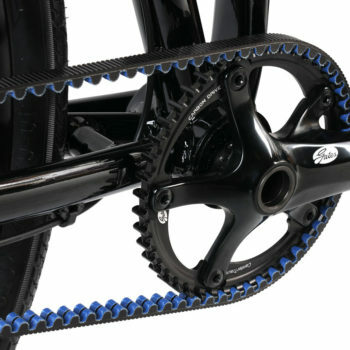 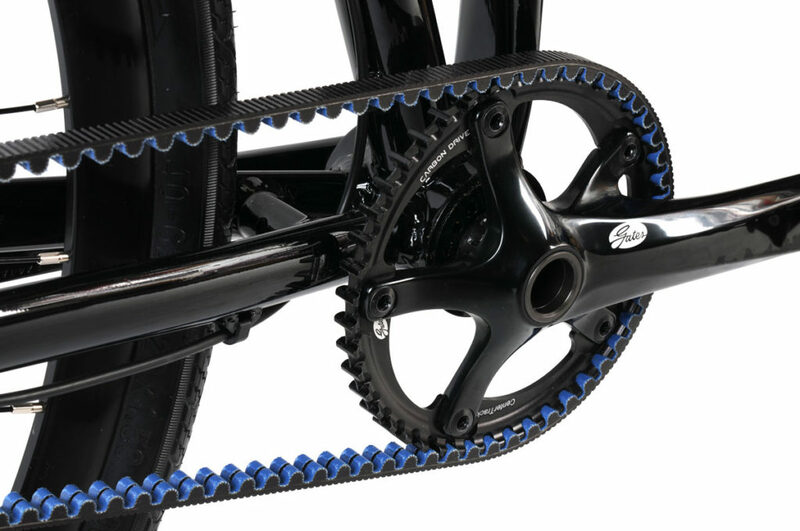 Drivetrain: Gates 42 tooth/170mm crankset, Shimano Alfine 11 speed internally geared hub with 22 tooth sprocket providing an extremely wide gear range of 27 to 112 gear inches, Shimano Alfine Rapid Fire shifters, and a sealed cartridge bottom bracket. 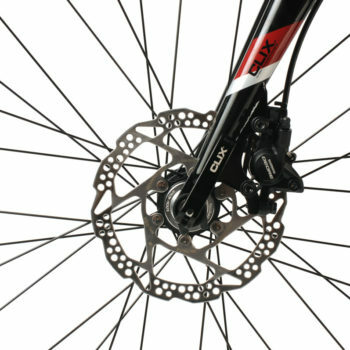 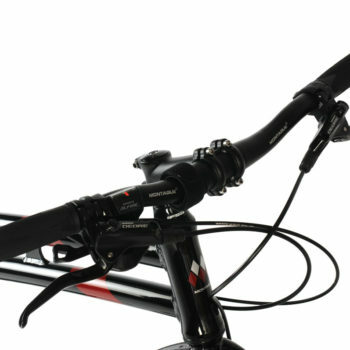 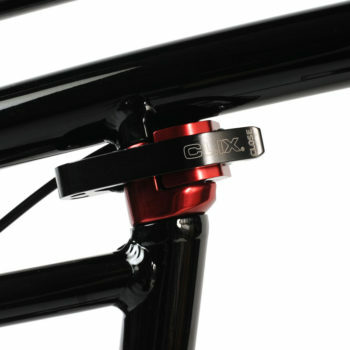 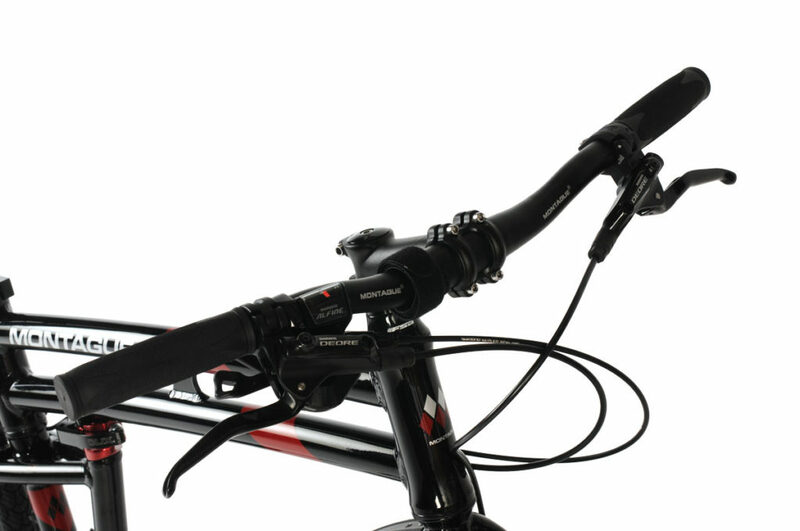 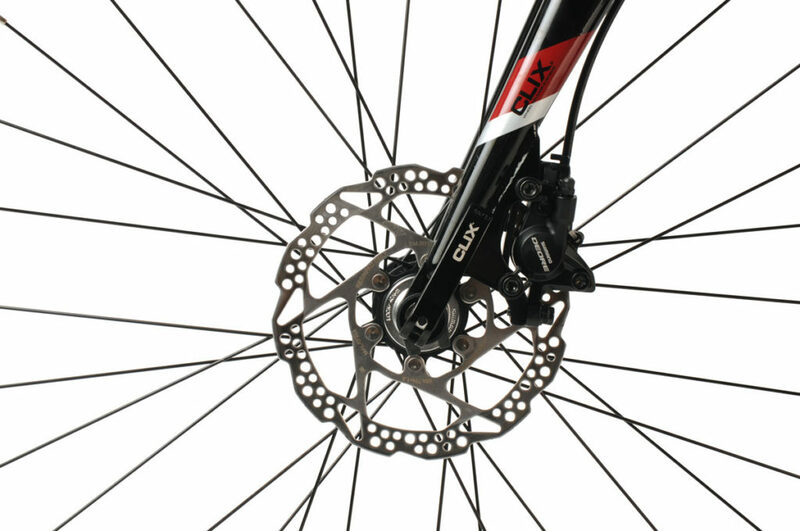 Brakeset: Shimano Deore hydraulic disc brakes and levers. 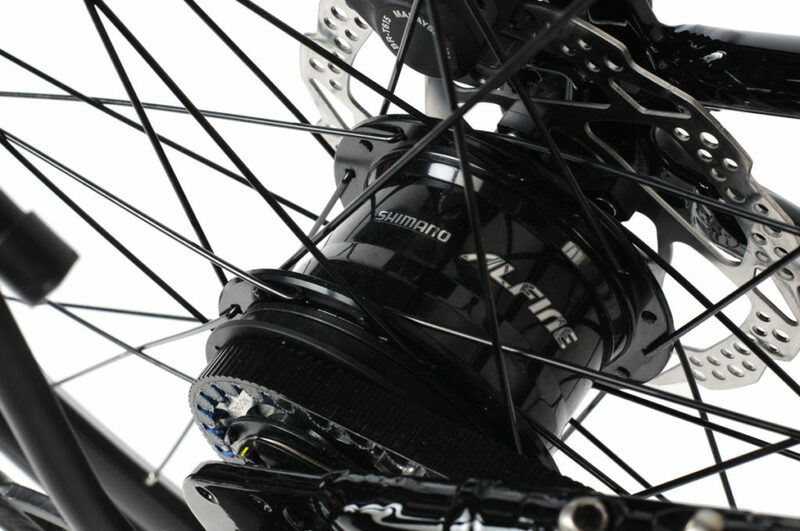 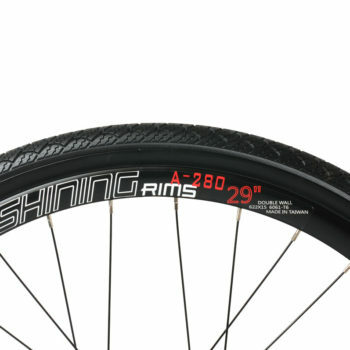 Wheelset: 700c, 32 hole, deep section alloy rims, 14 gauge stainless spokes, Shimano Deore front hub, and Shimano Alfine 11 IGH at the rear. 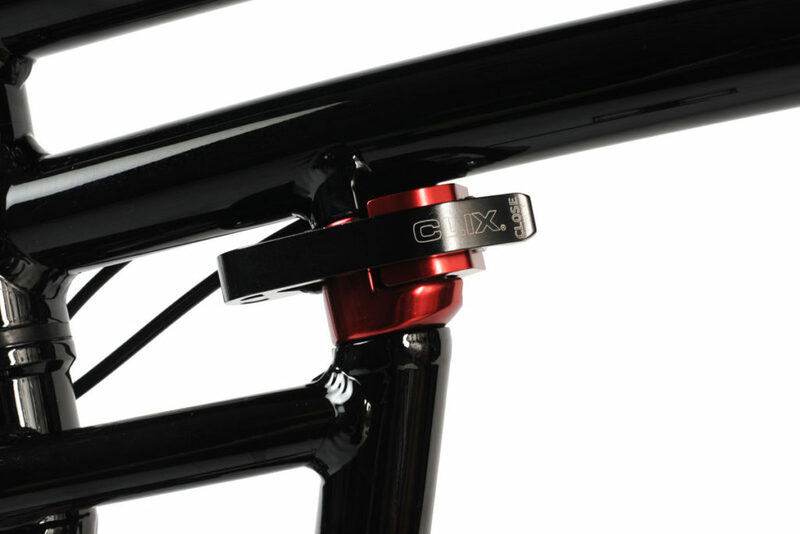 Cockpit: Custom drawn 7005 series aluminum frameset, 580mm wide 20mm rise alloy handlebar, Kalloy Ahead stem with 15 degree rise, and Speedline gel saddle.